U.S. Rep. Henry Cuellar, D-Laredo, is enabling President Donald Trump’s agenda to build the border wall. Worse, he is dodging his constituents who want to hold him accountable. 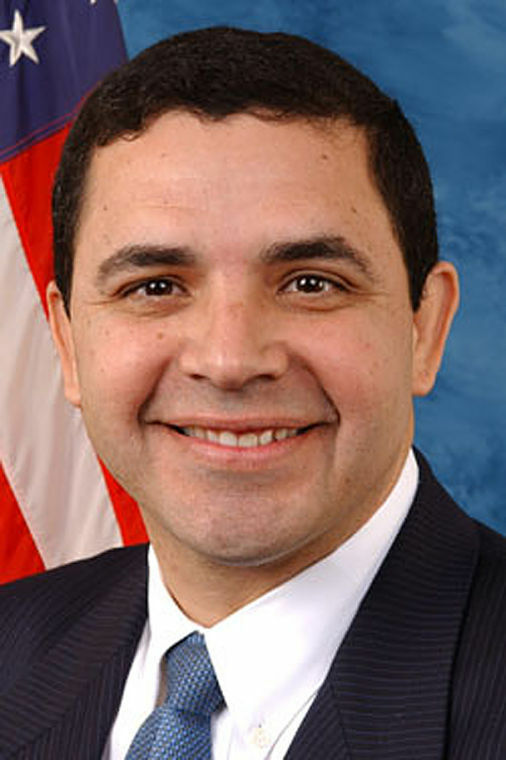 Despite his rhetoric critical of the wall, Congressman Cuellar has for months expressed support for a plan to convert levees into walls in Hidalgo County. As a member of Congress he is one of the most influential people in the Valley, and rather than use that influence to protect Dreamers and oppose the wall, he chose to negotiate the inclusion of funding for levee walls in recent budget negotiations. Now, his vision is set to become a reality. In March, Congressman Cuellar voted to approve $1.6 billion for the construction of border walls in our communities as part of the $1.3 trillion Omnibus spending bill. This bill, however, did nothing to secure pro-tection for Dreamers, like myself. These funds will be used to build 25 miles of concrete levee walls through Hidalgo County and eight miles of steel bollard walls in Starr County. These border walls will tear through our communities, ranchlands and natural areas, divide us from the Rio Grande and push wildlife, like the endangered ocelot, closer to extinction. If we allow these walls to be built, they will be an insult to our culture and identity for decades to come. Were he standing up for his constituents, Congressman Cuellar would have fought tooth-and-nail against the president’s racist and wasteful plans. After all, his district has much to lose to border walls: La Lomita Chapel, Bentsen-Rio Grande Valley State Park, and the National Butterfly Center, in Mission, could all be cut off by levee walls; Starr County could see deadly flooding from bollard walls. Instead, he rubber-stamped a $1.6 billion check to help President Trump build his racist campaign promise. I am fed up with having the concerns of my community ignored. So last month, I went to Washington, D.C., to remind members of Congress, like Rep. Cuellar, that our border communities reject Trump’s divisive border wall and the militarization of our homes. Our group, which included people from Texas, Arizona and California, met with almost 40 congressional offices and described the damage that border walls have already inflicted upon communities and wildlife in the borderlands. We demanded that our members of Congress oppose all border wall funding and focus in-stead on securing protection for Dreamers, more of whom are in danger of deportation every day. We met with congressional offices ranging from Washington State to Florida. But Cuellar refused to meet with us. After repeated attempts at scheduling a meeting, Congressman Cuellar’s office denied us outright. Not even his staff would sit down with us to briefly hear our concerns. On the heels of his pro-wall vote, he must have been afraid of what we had to say. We wanted to ask Congressman Cuellar why he hasn’t done more to oppose hateful and destructive border walls. We wanted to ask how he could vote to fund $1.6 billion for walls, while failing entirely to secure protection for Dreamers. And we wanted to ask him why he continually refuses to meet with residents whose lives will be disrupted by the border wall. But he refused to even open his door to us. Our communities cannot afford to be ignored. If our representatives in Congress won’t listen, we will just have to speak louder and organize harder. Congressman Cuellar cast his vote for border walls, but he can still redeem himself. The walls are not yet built and he can help us stall or stop them. To do that, he must hold a public meeting with Department of Homeland Security officials to describe their plans for Starr and Hidalgo counties and receive public input. Once a border wall is built, it will be a permanent scar on our land and communities. We can’t allow this looming tragedy to happen. Congressman Cuellar should wise up and stand with us. It’s the right thing to do.